This [my] story sounds cliché, but falling in love in Paris really can happen! We’ve all heard that Paris is dubbed as ‘the city of lights’ and a lovers paradise, but I had no idea it could happen to me. I love the movie Casablanca too, but come on, does that really happen outside the movies or books? I can now tell you it does. My crusty, sarcastic coating regarding love, has been melted away by the man I now call, ‘mon mari’ (my husband). How exactly did this happen? Well, back when I jokingly say that I had a ‘real job’, working for a global manufacturer, my job took me to our Belgian office on a month-long project. During that time, I met my ‘would-be’ hubby, a shy, handsome Belgian with boyish good looks and manly charm (see, I told you my story was a cliché before we started!). At least I didn’t say he was tall, dark and handsome! OK, moving on. I worked with him side-by-side, we attended group functions and interacted as most coworkers do. During the course of these interactions, we both felt there was something between us, but with working 15 hour days amoung a group of people and no time off, we never spoke of our affinity for one another. As time went on, I began to think that I was being overly intuitive about his feelings for me and having that crusty coating at the time, I soon let logic and reason take over any notions of budding romance breaking through the shell. And eventually, it was time to go back home to the US and it became business as usual and sadly, we didn’t speak again for 12 years. In checking one of my networking sites, I saw his name pop up as a suggested connection and wondered if he’d even remember me after all this time. I composed an awkward reintroduction saying, ‘hope you still remember me, I was one of the Americans who worked with you 12 years ago….’ I held my breath as I thought, what if he doesn’t remember me or doesn’t want to reconnect? How will this effect me? I then exhaled and clicked, ‘send invitation’ and hoped I wouldn’t embarrass myself or him too badly in the process. He responded by saying, ‘…of course I remember you Regina…’ and so, we reconnected as former employees do, right? Again, no bells, whistles, declarations or confessions, only the acknowledgment that he did remember me, a small yet important victory in my mind and unwittingly, a foreshadowing to the future. 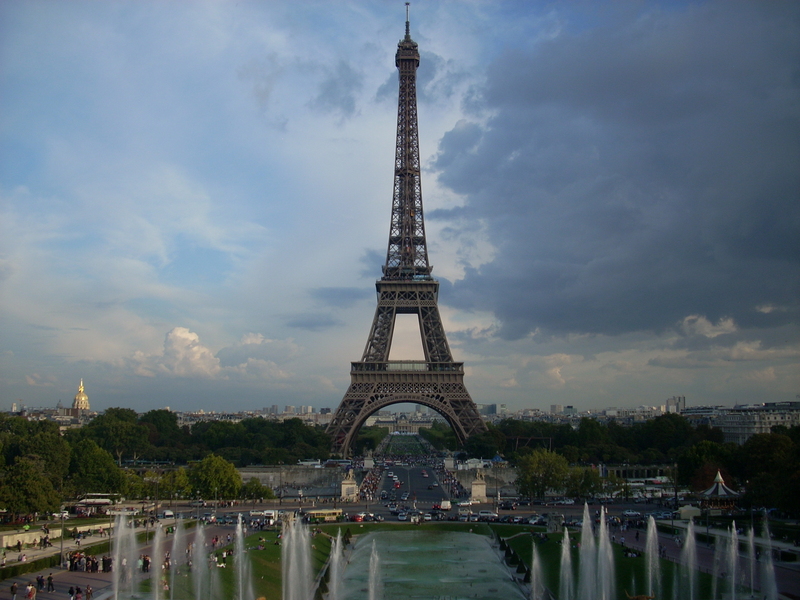 In late September, a friend and I were planning to go to Paris for vacation. Since I knew my former Belgian coworker was living and working in France from his online profile, I asked if he was close to Paris to see if we could meet and get caught up on each others’ lives. He said he’d love to see me again and would take the train to meet me in Paris to have dinner at Le Pied de Cochon, a Parisian institution for classic french cuisine. We met for a late dinner and already, I could sense my world was about to change. Re-winding a bit to 12 years ago, we recognized the spark we had for one another, but never voiced our feelings, which only resulted in internal dialog about what could have been. The next morning, we met again for coffee with my travel buddy, so again, no time to explore our feelings from either of us on how we felt when we first met or in Paris, just great dialog between friends. When he was leaving to take his train home, we hugged good-bye and it took all I had to not cry, which seemed ridiculous at the time, given that no outward expression of our feelings had ever taken place. Regardless, I hugged him and couldn’t even look back to see him disappear into the Metro, because I knew I would not be able to hold back my emotions. Little did I know at the time, he was experiencing the same pain of leaving me and had all the same emotions he had then and now. He told me later that he waited for me to look back and when I didn’t, he thought I didn’t share the love he had been carrying for me all this time. I was devastated that he was gone and that yet again, I didn’t have the courage to tell him how I felt. As he disappeared into the Metro that day, he sent me an email at that time (which I never got until arriving home) that I had changed his life in just a moment, that he was starting to lose faith in love and happiness and that it all changed when he saw me again. He said he wasn’t willing to lose me again and wanted to find out if we were meant to be together. After returning home, I naturally got his message and I began to cry as I now finally knew the truth about how he felt and I could tell him I loved him too. About a month after Paris, he came to visit for 10 days (his first trip to the US) and we actually got to talk and get to know one another without a constant audience. We found out that we do have a strong bond and connection that hasn’t waned over time or distance. And so it began, a romance that would take another year to come full circle, after 12 years in waiting. Happy Valentines Day everyone and keep on dreaming!